Church Services TV was established in 2005 and streams services over the internet helping parishes and other religious organisations expand their reach across the globe well beyond what was traditionally possible. 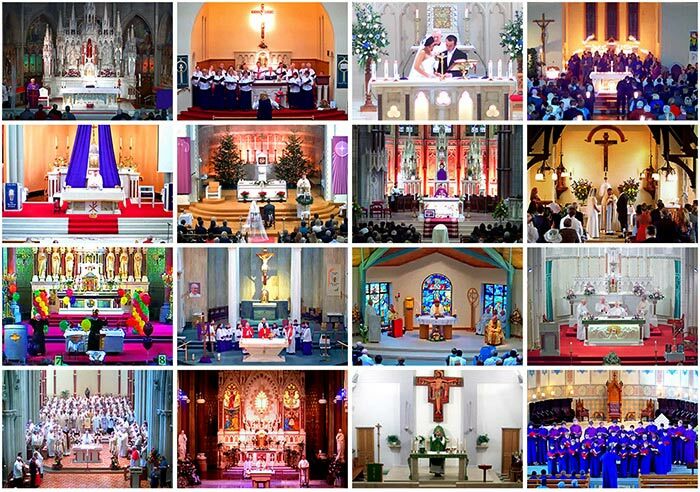 Parishes and Organisations can stream Mass, Weddings, Funerals, Music, and all other kinds of events from Churches, halls, or any other venues. By making services available on PC’s, Laptops, Mobile Devices and TV sets anywhere in the world, CSTV helps those confined to home or care facilities, and those living away from home, keep in touch with their parish and continue to be part of the local community. The range of DIGITAL services offered by CSTV in your parish will far outstrip anything else available to your parish as it is the most comprehensive package available and always cutting edge.